Below you will find our canine offerings. 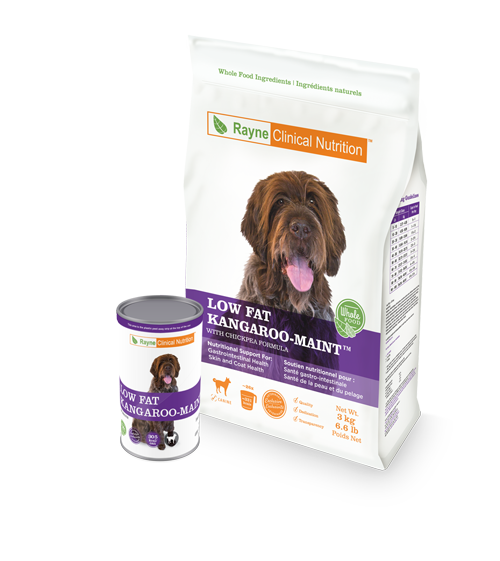 Low-Fat Kangaroo MAINT™ canine dry and wet diets contain a limited number of highly digestible, low fat ingredients that provide a nutrient profile that is appropriate both for fat intolerant diseases and adverse reactions to food. 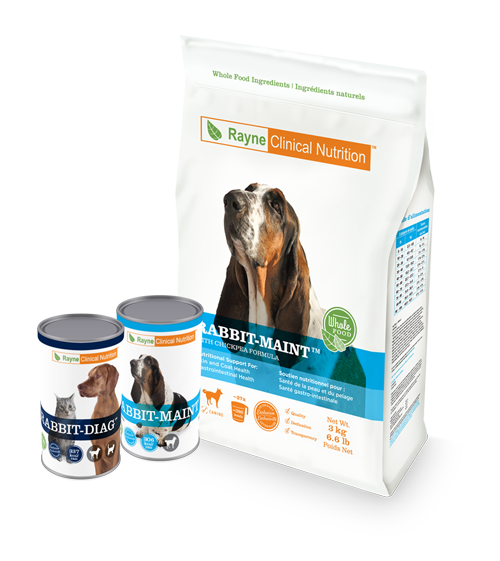 Adult Health- RSS™ canine dry and wet diets are palatable maintenance diets which include ingredients selected to support urinary tract health. The diets have undergone RSS (relative supersaturation) analyses at an independent laboratory to support their use in prevention and treatment of struvite and calcium oxalate urolithiasis. Growth/Sensitive-GI™ canine dry and wet diets contain a limited number of highly digestible ingredients and provide a nutrient profile that is known to benefit gastrointestinal health, appropriately support puppy growth, and achieve optimal lean body mass in adult dogs as a maintenance diet. Crocodilia-MAINT™ Canine diets contain a limited number of highly digestible ingredients making them appropriate for an elimination diet trial and a maintenance option in dogs suspected to have allergic skin or gastrointestinal disease. Kangaroo DIAG™ canine wet diet contains a limited number of highly digestible ingredients for a diagnostic elimination trial in dogs with suspected adverse reactions to food. Using a single, novel protein source and one carbohydrate, Kangaroo-DIAG is an incredibly simple diet designed to help diagnose food allergies and sensitivities. Sensitive GI Revive™ “canine and feline wet diet is an energy and calorically dense diet that is exceptionally palatable to help care for any patient needing more energy/calories. 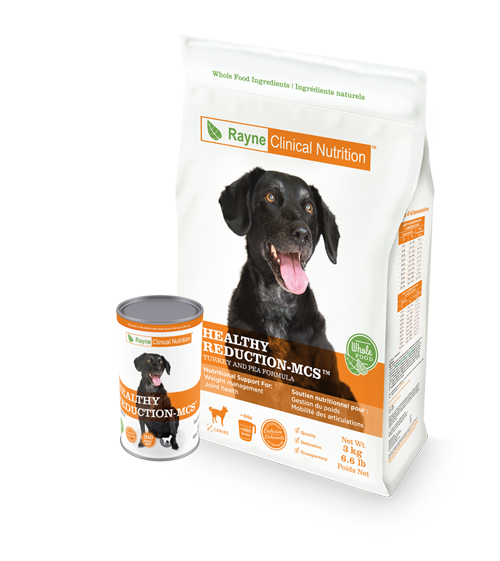 Restrict - CKD™ canine wet diet is a phosphorus and protein restricted diet with highly digestible ingredients and excellent palatability to support dogs in IRIS CKD (chronic kidney disease) stages 2 to 4, dogs with liver failure, heart disease, copper storage disease, or dogs with severe proteinuria.